Central Coast Railroad Festival Features History Programs, Big Model Layout Tour and Free Family Fun Activities from Paso Robles to Lompoc at Libraries, Railroad Museums and on the Rails! The Fifth Annual Central Coast Railroad Festival, set for October 10-13, 2013, in the heart of the California Central Coast, will focus on special concert and film events, vintage rail excursions, the Grand Opening of the San Luis Obispo Railroad Museum and model railroading of all types. Activities will take place at numerous railroad, historical and educational locations throughout San Luis Obispo and northern Santa Barbara Counties. The Central Coast Railroad Festival is designed to please both casual train buffs and avid rail fans as well as delight tourists and locals of all ages. Many Festival events will be free and all will be fun and very family friendly. Festival attendees will also be able to explore the areaâ€™s beaches, wineries, Missions, quaint downtowns and other special attractions. Free family activities are abundant at a number of locations during the 2013 Central Coast Railroad Festival. Many activities will take place at the San Luis Obispo Library Community Room on Saturday and Sunday, October 12th and 13th. A large visiting model layout from the California Central Coast On30 Modular Group will be operating there both days. Attendees on Saturday will be able to see Ken Luaâ€™s antique Marx tin lithograph trains and hear folk singer Frankie Fuchs sing the songs of Woody Guthrie for train lovers of all ages. Also on Saturday, Rose Ann Woolpert will read her childrenâ€™sâ€™ book Engine Number Ten - a tale of steam engines, construction and California history. After the reading the coloring contest winners will be announced. The Engine Number Ten Childrenâ€™s Coloring Contest is sponsored by the SLO Library and the Central Coast Family magazine. Noted photographer John Roskoski will show his popular film â€œSURF and the Southern Pacificâ€ at the SLO Library twice on Saturday afternoon. Also offered at the Library will be freebie Amtrak items for the kids. The CCRRF Library programs are sponsored by Rabobank. Other childrenâ€™s activities and hands on play areas will be available at the SLO Farmersâ€™ Market on Thursday night, and at the SLO Railroad Museum and the Oceano Depot on Saturday and Sunday. On Saturday and Sunday, October12th & 13th, the CCRRF will feature a self guided tour of a number of outstanding, professional model layouts at the SLO Library, SLO Railroad Museum, Oceano Depot, Central Valley Model Works, Central Coast Trains and Doc Burnsteinâ€™s Ice Cream Lab. Numerous other home, garden and club layouts will be open during the weekend at various times. The complete layout layout schedule, descriptions and maps can be downloaded at www.ccrrf.com. The Model Layout Tour was organized by the Model Railroads of Southern California. History programs will be presented throughout the weekend. All of these presentations are free and will occur on Friday, Saturday and Sunday. On Friday morning historian Joe Morris will lead a walking history tour of the Historic San Luis Obispo Railroad District. The Friday afternoon focus will be on the Pacific Coast Railway with programs in Avila Beach featuring a meet and greet with authors Loren Nicholson and Terry J. San Filippo at the Avila Community Center (to view historic photos) and a history walk down Harford Pier with historian Brian Craig Kreowski. Many programs will be offered at the San Luis Obispo Railroad Museum including interior and exterior tours and a Saturday morning presentation on historical railroad time pieces by the National Assoc. of Watch and Clock Collectors. Also on Saturday afternoon at the SLORRM there will be a program presented by author Marilyn Darnell & historian Joe Carotenuti on SLOâ€™s founding fathers and their efforts to bring the South Pacific Railroad into town. On Saturday evening at the SLO Masonic Hall Robert Van Camp will present a program entitled â€œCelebrating North Americaâ€™s Tourist Railways and Museumsâ€ which is a film tribute to the men and women that help preserve and present our railroad heritage. Sunday afternoon at the SLORRM will feature Railroad Industry Presentations by the Santa Maria Valley Railroad, Union Pacific Railroad Company and the Federal Railroad Administration. History displays will also be featured on Saturday and Sunday at the Oceano Depot and the the Santa Maria Valley Railroad History Museum. Tours of the historic Jack House in SLO will be available on Sunday. The festival is proud to welcome back Amtrak, Rabobank, Union Pacific and the Santa Maria Valley Railroad as the 2013 major festival sponsors. 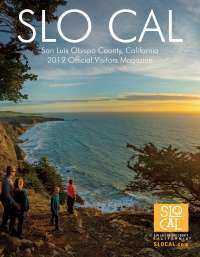 The City of San Luis Obispo and its Tourist Business Improvement District are the Festivalâ€™s major promotional supporters. KCOY and FOX11 are the television media sponsor for the Festival. Further information, online tickets and details on the Central Coast Railroad Festival, including the full schedule of events, promotional videos, a list of participating organizations and an email notification sign up, can be found at www.ccrrf.com Festival staffers can be reached at 805-773-4173.